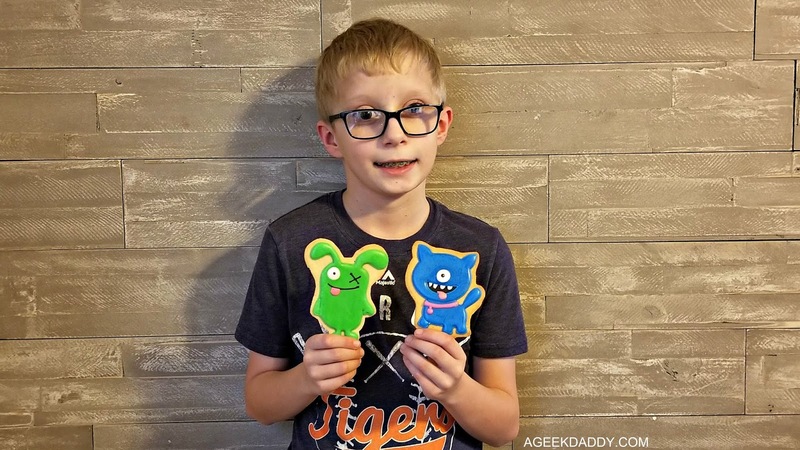 We had a tasty treat snacking on some cookies that look like characters from UglyDolls while watching the trailer for this animated movie that is heading to theaters for a May 3 opening weekend. This musical stars some awkward yet adorable looking creatures whose singing will be performed by the voices of Kelly Clarkson, Nick Jonas, Janelle Monáe, Blake Shelton and Pitbull. This diverse group of singers provide a dynamic that promotes acceptance, joy and friendship through their vocal talents in the portrayal of this film's story. 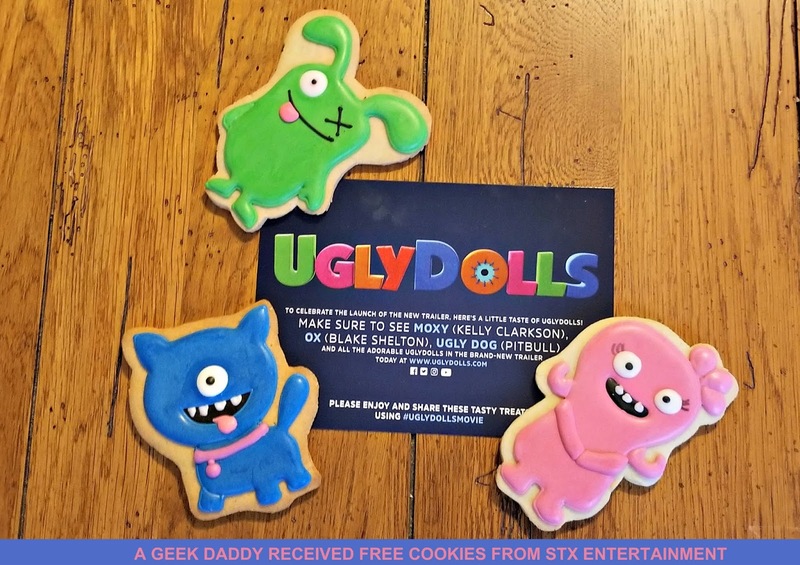 Thanks STX Entertainment for providing us with these quirky cookies and a heads up about this trailer promoting UglyDolls! UglyDolls transports audiences to the town of Uglyville, where weird is celebrated, strange is special and beauty is embraced as more than simply meets the eye. Here, the free-spirited Moxy and her friends live every day in a whirlwind of bliss, letting their freak flags fly in a celebration of life and its endless possibilities, occasionally looking to the sky, where a new UglyDoll appear from to be embraced by the community. 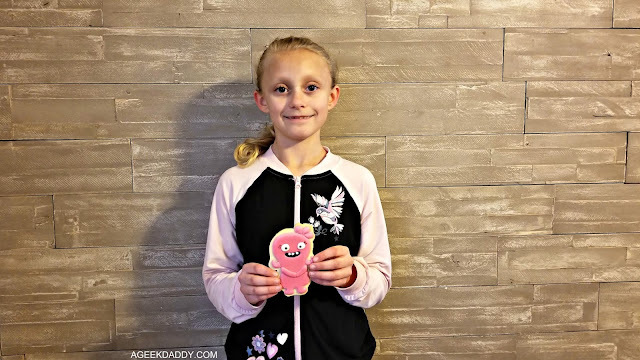 Unconventionality rules in UglyDolls! For more information about this family friendly upbeat musical visit uglydolls.com or check out their social media feeds on Twitter and Instagram. 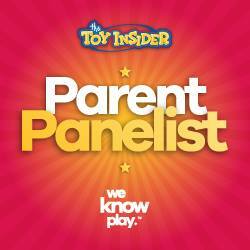 If you aren't connected with A GEEK DADDY on Twitter and Instagram don't forget to follow us too!